need advise on how to keep fry alive. 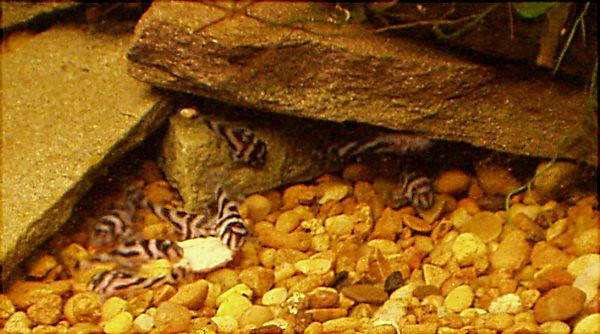 I have left them in a 40cm by 25cm tank together with the father and 2 female. Everything seem ok initially but soon after a month they start to die one by one. All the 3 adult L46 is still healthy and the alpha is on egg again, so I don't think there is any issue with my water parameter. Any suggestion on what I should do to have a better survival rate for this clutch. Thanks. Did you see an sort of symptoms? I am aware of this sort of thing happening to a few folks over the years. Basically, it was due to the presence of something the adults are more able to fight off vs the fry. I am not 100% certain but I believe the disease but was oodinium aka velvet. I do remember the recommended cure, Proform C.
The above assumes you are able to get this med. Since you have not provided any information about your location, I have no idea what meds may be available to you. Here in the states we can pretty much find almost any fish med we need. other countries do not always allow this. Thanks for your reply, no symptoms was observe the fry was healthy the day before and just dies the next day. Is it possible that the fry was attack by the parent? and is it possible that the fry can't get any food as I am dropping in powder food (Dr bassleer baby nano) into the tank. Also I am doing 30% water change for this tank weekly could the cause be due to water parameter spike I am using full tap water with anti-chlorine added. If you are feeding food the fry are able to eat, they should be eating it. I feed frozen BBS or Cyclops and my fry find this and do fine. Fry will also eat "big" food as long as it gets soft so they can take tiny bites. I have not seen adults eat free swimming fry ever. I have seen females who want to spawn with a male on eggs which would eat the eggs or even wigglers to get a shot to spawn with the male. he will not even look at a fm while he is tending offspring. The problem to which I referred in my first post was essentially invisible to the owner of the fish and then to a well known pleco expert to who was sent fry and ultimately the breeders as well. It took a university lab to pinpoint the issue. I agree you should feed them BBS or Cyclops. Also, you should ask the vet and he/she will give you the best advice ever.